- Glow in the Dark Frisbee Disc! - Battery Operated! Easy to Use! 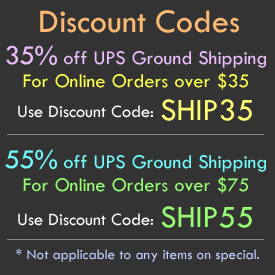 - Keep your Frisbee Game going all night! - Beach Parties! BBQs! Camping! Has the sun gone down on your Frisbee fun? No Worries! 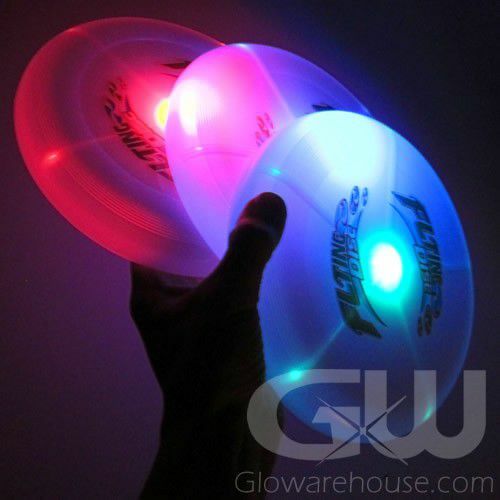 Spark up Glowarehouse.com's Glow in the Dark Frisbee Disc and you can play night catch, glow in the dark disc golf or glowing Ultimate Frisbee until the sun comes back up! 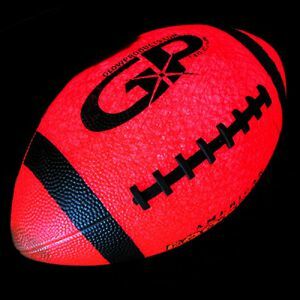 Glowing LED Frisbees are one fun way to keep the games going into the night. Please note that this is not a photoluminescent frisbee that you have to charge under a light and then it glows (sort of). No, this is battery operated light up frisbee that uses bright LED lights to make it shine! 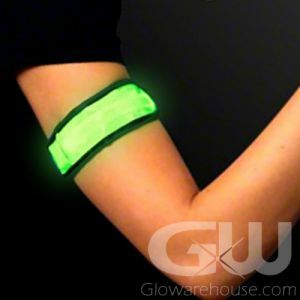 All you have to do is twist the on/off switch and it will brightly glow with multi color lights! The light up frisbee uses two coin cell CR2016 batteries that are already installed and are replaceable. So bring out the glow in the dark frisbee at your next backyard celebration, beach party, camp-out or summer shindig and we'll play glow catch all night long!